Lock in a great price for Les Arnelles – rated 8.8 by recent guests! Great position and fantastic if you love horses. We did see flamingoes beside the hotel which was great!!!! 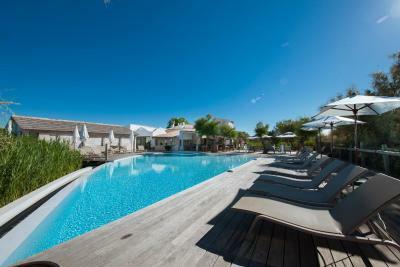 The hotel and grounds are traditional Camargue style. Very comfortable, spotlessly clean with a touch of luxury. Staff very friendly and helpful, great breakfast and offers a very relaxed feel. The bar/lounge area is tastefully decorated offering breakfast, hot and cold drinks and evening meal. The attached equestrian centre is very professional with healthy horses. Novices catered for. Location! Horses right next door, nice swimming pool, great breakfast! Very friendly staff! The proximity of the equestrian centre and the ease of getting around the area. We liked being able to sit in the small area outside our room and in the area near the swimming pool and bar. We liked the quietness of the area. schöne lage in der natur abseits der hauptstrasse. die zimmer sind groß und sauber. ebenso das bad. solides frühstück und restaurant, letzteres mit fairen preisen. Tout était parfait, un moment privilégié en pleine nature ! 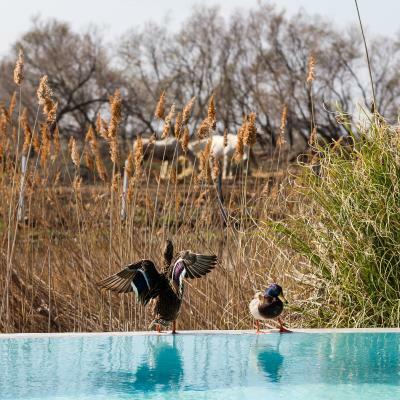 Located in the heart of the Camargue Natural Regional Park, Les Arnelles features an outdoor swimming pool, a garden and a terrace in Les Saintes-Marie-de-la-Mer. Extras include horse riding and massages. Offering free Wi-Fi access, the air-conditioned guest rooms come with a flat-screen TV and a bathroom with walk-in shower or bathtub and free toiletries. They also have access to a private terrace. Every morning, a breakfast buffet is served on site. Guests can also enjoy Mediterranean specialties served at the hotel or relax at the bar. Guests can go to the beach, 0.8 mi away. Pont de Gau Zoological Garden can be visited 2.2 mi away. Guests can also drive 22 mi to discover le Grau Du Roi and Aigues Mortes. Arles TGV Train Station is 22 mi away. 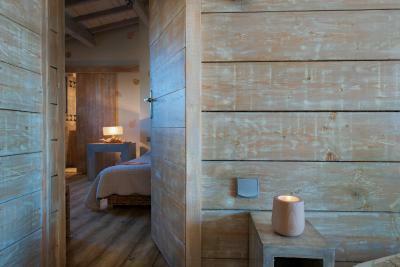 This is our guests' favorite part of Saintes-Maries-de-la-Mer, according to independent reviews. 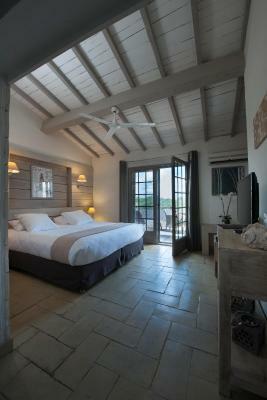 When would you like to stay at Les Arnelles? This air-conditioned room features a flat-screen TV and a bathroom with free toiletries, hairdryer and bathtub. it also offers access to a terrace. Made of 2 interconnecting rooms, this air-conditioned suite with access to a terrace features a flat-screen TV, a bathroom with bathtub and walk-in shower and hairdryer. This triple room features soundproofing and air conditioning. House Rules Les Arnelles takes special requests – add in the next step! Les Arnelles accepts these cards and reserves the right to temporarily hold an amount prior to arrival. The food in the dining room at dinner was appalling. We stayed 3 nights. There was no choice of menu and the first and third nights' dinners were identical and not good. We had to ask for different dishes and the sauces on the meat on nights 2 and 3 were the same. On night 1 the fish main course was absolutely tasteless. They tried to serve lentils with everything. They need a new chef badly. In contrast breakfast was first class. All the staff and owners were very pleasant. Bedroom and bathroom not very clean. Everything was very expensive and nothing like good enough for a 4 Star hotel. No shower in the room!!! !